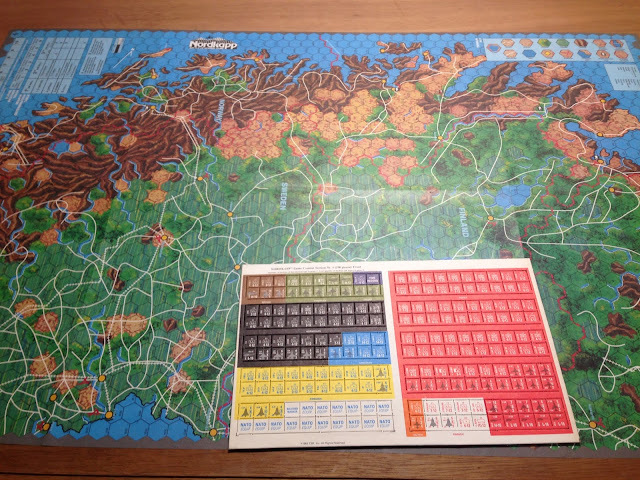 From Strategy & Tactic's 1983 issue, Nord Kapp is a game set in Scandinavia that features a World War III scenario between the Soviets and NATO. There seems to be a lot of curiosity about this game. Before we dive in, I should state that yes, I know the counter clipping showcased herein is a crime against humanity. I can only say in my defense that these are finnicky bastards that sat in a ziplock bag for almost 35 years. The first thing we do is roll for season determination. Three six-sided dice are rolled to see what time of year the game takes place. We get a 4 for the first roll, which puts the game in Spring. The second roll is a 5, which means we have a June invasion. The final roll is for weather type. We roll a 1 and the result is "-", which means we have full range of movement through all terrain types. A roll 4 - 6 would have kept our mechanized and armor units tied to road-only movement. Strategy & Tactics Magazine has been around a loooong time. And just to show you how far back it goes, take a look at the price of the issue in the top right corner of the photo below. 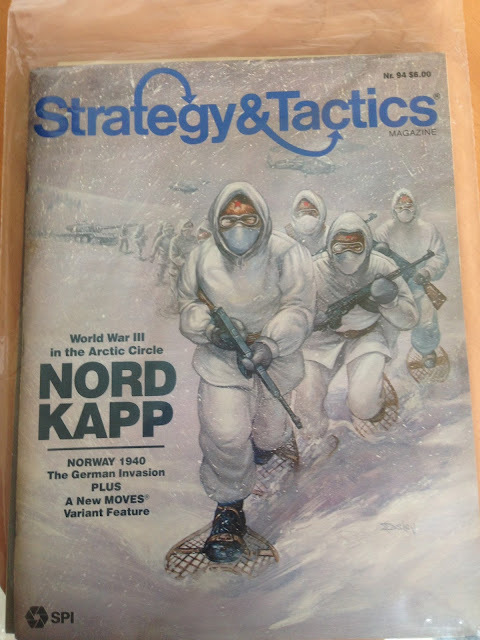 Nord Kapp is the game included with the Fall 1983 issue of S&T. It features a wide mix of international units all working together to stop the Soviet hordes from taking over the Kola Peninsula and using the air bases to hammer Central Europe while using the naval bases to burst through the GIUK gap. Of course, that's just the game. The magazine has a really great article on the German invasion of Scandinavia in 1940. Notable in here is a review of Hell's Highway from a new wargaming company called Victory Games. To help date this thing even further, we have Ian Chadwick's article discussing the pros and cons of various commercially-available computers at the time, including the Atari 800, the Apple IIe, and the Commodore C64.